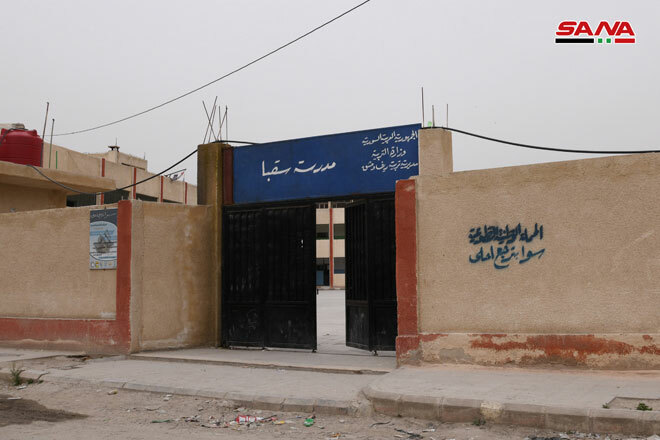 Damascus Countryside, SANA- A year after liberating Eastern Ghouta in Damascus Countryside from Takfiri terrorism, relentless efforts have been exerted for upgrading the educational sector in it in cooperation with the locals, the international organizations and civil societies to rehabilitate a large number of schools. 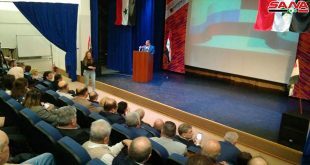 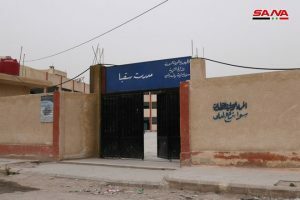 Due to the importance of the educational sector, Education Ministry in cooperation with Damascus Countryside Governorate, immediately after liberation from terrorism, has formed a teamwork for upgrading the reality of this sector, particularly through rehabilitating and maintaining the educational buildings in order to ensure a speedy return for students to their schools. 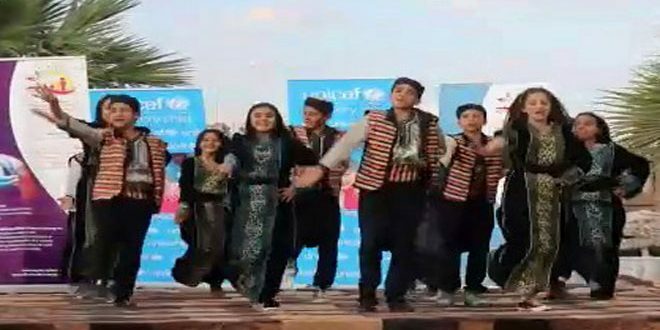 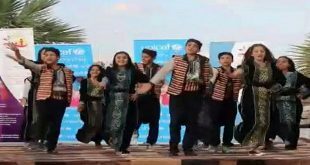 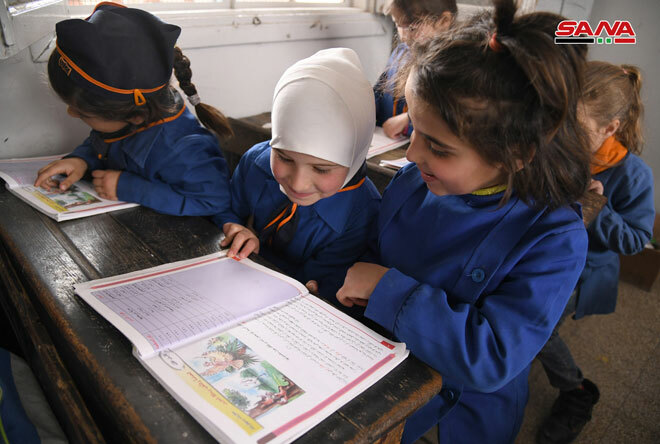 “55 schools have been rehabilitated within the investment plan, and 76 others are within the emergency plan, in addition to rehabilitating 80 schools in cooperation with the international organizations,” Head of Damascus Countryside Educational Directorate Maher Faraj told SANA. 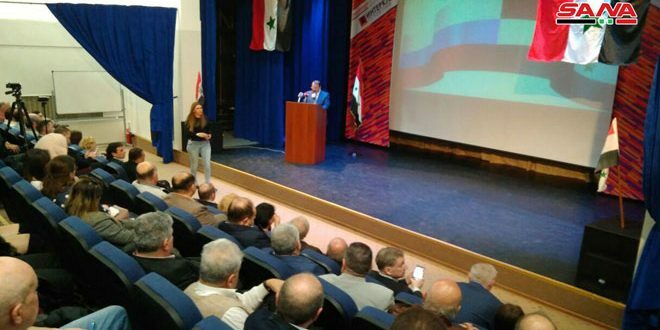 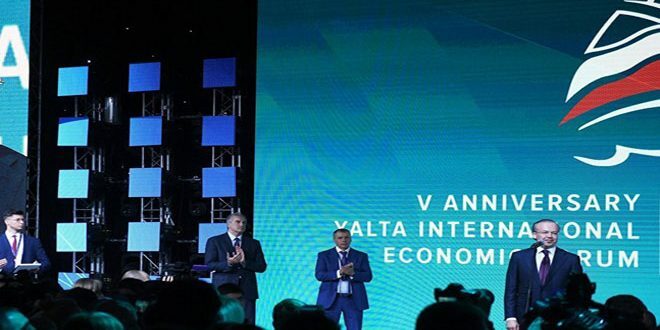 Faraj added that heavy damages were inflicted upon the educational sector which reached up to SY 32.500 billion, indicating that all possible efforts have been exerted to provide the required psychological and social support for the students after returning to their schools. 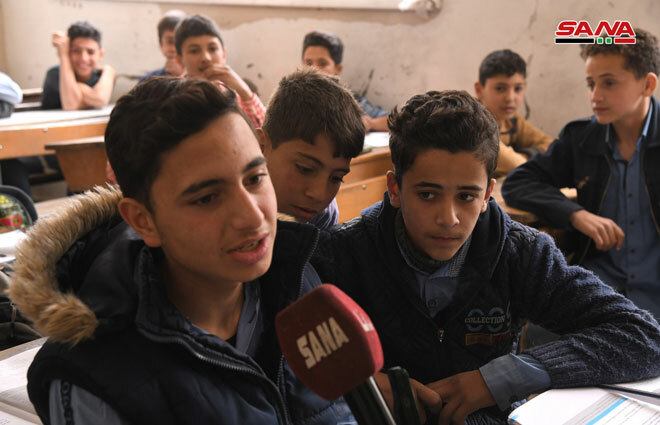 The number of students who have joined the educational sector in the areas of the Eastern Ghouta has reached up to 125 thousands out of 500 thousand students distributed among 140 schools which have been put into service again. 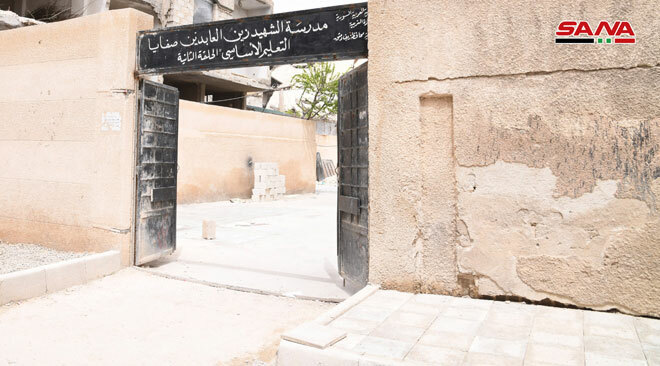 Throughout the terrorist war waged against Syria, 219 schools in the Eastern Ghouta went out of service, of which 211 have been rehabilitated and put into service after liberation from terrorism, according to Faraj. He added that more than 35 thousand students have followed the curriculum category (B) to compensate them for the missed lessons during the past years and to integrate them into their age groups and the classrooms which fit their ages. Ministry of Education works on providing schoolbooks for students through opening centers for distributing them in the Eastern Ghouta and in Yelda and Babila towns, and there is a plan for increasing the numbers of these centers to reach other areas and to provide developed curriculum and distribute books among students. 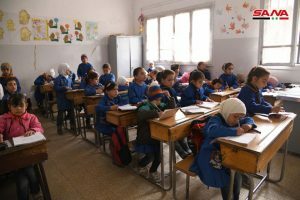 After the return of security and safety to the Eastern Ghouta thanks to the Syrian Arab Army, the number of students who have joined schools is increasing continually, particularly after the return of the locals to their houses. Immediately after liberating the Eastern Ghouta from terrorism, and in cooperation with the locals, rubbles were removed and the doors and windows of the classrooms were fixed, and the educational process started again as teachers exert double efforts to provide a good educational environment for the students, according to director of one of the schools in Jisreen in the Eastern Ghouta Hala Abu Rabi’a. 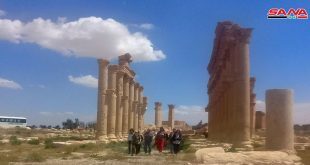 Next SANA reporter: Army destroys terrorists’ dens on outskirts of al-Tamani’a town in Idleb southeastern countryside.